New Directions Publishing Corporation, 9780811215305, 192pp. A delightful and elegant literary memoir about the Scottish novelist's eccentric family. 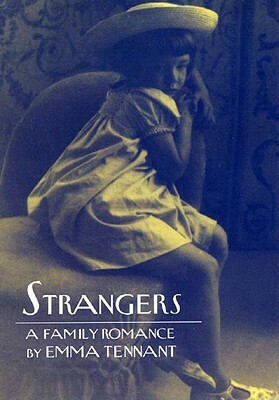 Selected as a (London) Times Literary Supplement Book of the Year and shortlisted for the prestigious Scottish Saltire Literary Award, Strangers is a literary memoir by Emma Tennant, the Scottish novelist whose eccentric family is described here in a pristine and elegant style. The story begins in 1912, as the world is about to break into war. Emma's grandmother, the dreamy and beautiful Pamela, maintains an ongoing feud with Emma's great-aunt Margot (wife of Britain's Prime Minister). Pamela's son Bim dies on the Somme, and his sacrifice is accepted as if death lies in the faint outline of garden where it merges with rushes and reedbeds. Gradually, we encounter Emma herself, a lonely child left at the enormous family estate, Glen, during World War II, witnessing the mysterious comings and goings of her extended family including her aunt, the wayward, thrice-married Clare. Deeply evocative and atmospheric, and written with stunning detail, Strangers is, as The Guardian explains: a historical chronicle but also a reverie on where you put your family inside yourself.